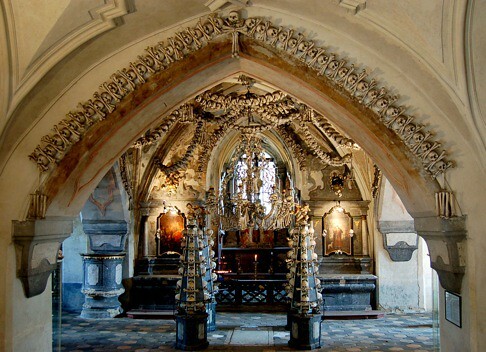 Sedlec Ossuary, (Czech: Kostnice Sedlec), is a small chapel in Kutná Hora, Czech Republic. 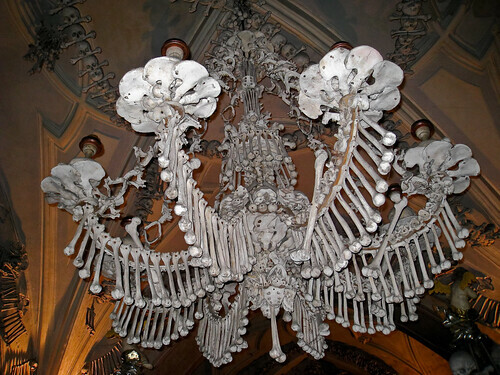 The ossuary contains more than 50,000 (could be upto 70,000) human skeletons and bones from these have been used to artistically decorate the chapel which is located beneath the Cemetery Church of All Saints. desired burial place in Central Europe. 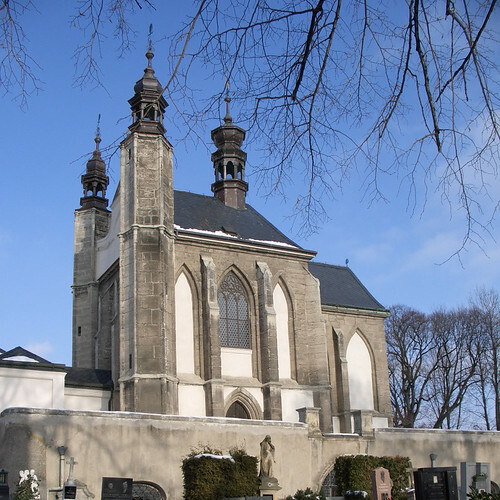 During the Black Death in the mid 14th century, and after the Hussite Wars in the early 15th century, Several thousands of people were buried there and the cemetery had to be greatly enlarged. Around 1400 a Gothic church was built in the center of the cemetery with a vaulted upper level and a lower chapel to be used as an ossuary for the mass graves unearthed during construction. 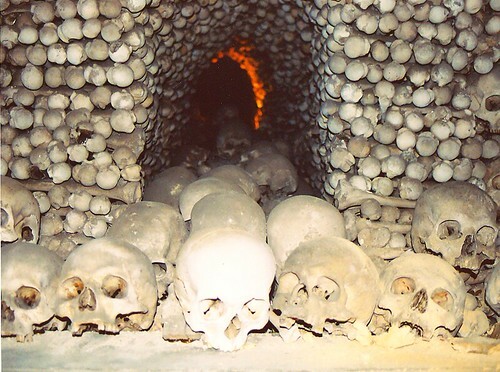 These bones were just stacked in the ossuary. However in 1870, František Rint, a woodcarver, was employed by the Schwarzenberg family to put the bone heaps into order. What is seen today is the result of his effort. Credits: I am thankful to Jane and Alexandre for suggesting inclusion of this chapel in my travelogue. Thank you Jane and Alexandre. Fabulous post! Any juicy ones left for me?